The Dean Forest Railway is a 4 1⁄4-mile (6.8 km) long heritage railway that runs between Lydney and Parkend in the Forest of Dean, Gloucestershire. The route was part of the former Severn and Wye Railway which ran from Lydney to Cinderford. The society that operates the line started steam locomotive operations in 1971, and bought the trackbed and line from British Rail in 1986. Reaching Both Lydney Junction and Parkend railway stations by 1995 and 2005 respectively. Trains are operated by both steam and heritage diesel locomotives, and heritage diesel multiple units. The Dean Forest Railway has been given the former GWR signal box that stood slightly to the east of Codsall station in Staffordshire. Its removal was completed in July 2007, and was placed at the newly restored Whitecroft railway station. The Dean Forest Railway has also been given the former Griffithstown Station building. Its removal was completed in June 2016, and is expected to be placed at the new upcoming Speech House Road. CrossCountry are now providing a combined fare for travel to Lydney mainline station (on CrossCountry services only) and then onto the Dean Forest Railway. 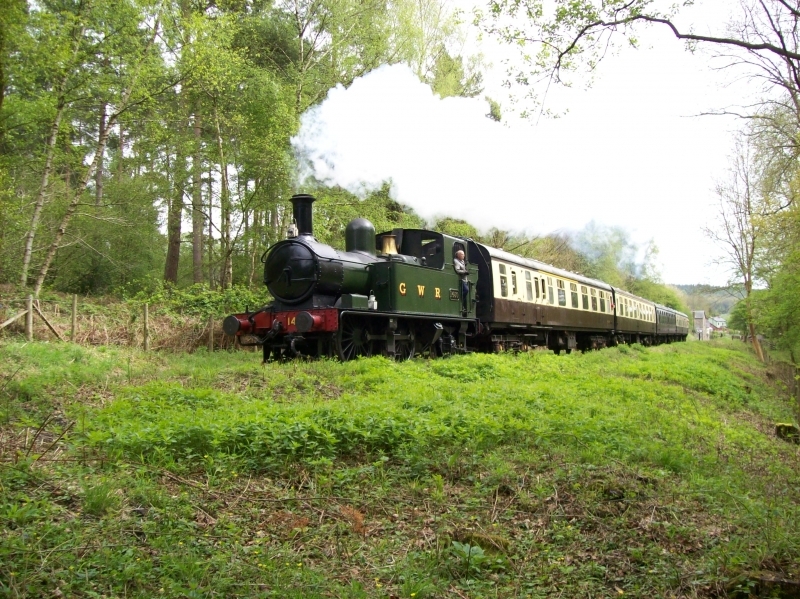 The Dean Forest Railway plans to extend its heritage services a further 2 1⁄2 miles (4.0 km) through/into the middle of the Royal Forest at Speech House Road (close to the nearby Beechenhurst Visitor Attraction), bringing the line to a total of about 6 3⁄4 miles (10.9 km) in length. In 2016, DFR’s director of civil engineering and director of development Jason Shirley announced plans to expand the railway to Cinderford. The project's status as a strategic regional development means that a large proportion of the estimated £8million cost could be met by Government funding. Please give us your overall rating for Dean Forest Railway.